What if you could take a day out to just have fun and not worry about anything at home? Travel back in time with vintage trailers, trailers will allow you to enjoy, cause you to come outdoors and meet people and sip on some hot coffee. 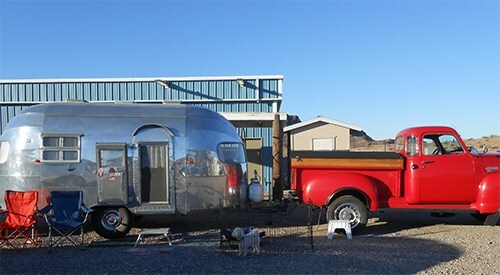 Trailer owners can take pride in the promotion of their vintage trailers that have been restored to wonderful condition. If you are interested in showcasing your trailer, contact the event organizer as soon as possible. You can share your common interest in trailers with fellow trailer owners in the campout. We invite all vintage trailers to join us for a fun campout. This Havasu Round Up is dry camping. We have large BBQ for groups and many hiking trails to follow throughout the park. There’s potluck and more so you can wear your best western dress. Prizes will be offered for the best outfit and best/unusually decorated trailer. A meet and greet on Friday evening 6.00pm in a large building. You can bring your own hors d’oeuvre (snack) and your own beverage. Saturday is when you can share your potluck at 5pm. Coffee will be served in the morning in the common area. The invite is to all non-participants to come and check out the trailers and to general public on both Friday and Saturday from 10am to 3pm. Dogs are allowed but must be on leash all the time. Showers and rest-rooms available for use. The fee is $10 per day and you can reserve a position from Thursday, November 03, 11am to Sunday, until 2pm. Event dates, Timings, and details are subject to change. Contact the organizers for more information. Mike and Cherry are available at (928) 505-2730) and (360) 595-2611 (from June – September). Price: $10/night for camping; spectators free.